Countries that want to participate in the joint Moscow-Ankara Turkish Sstream project may face "serious problems," German DWN newspaper wrote. According to the media outlet, Washington is likely to create obstacles to the new ambitious energy project and will seek to prevent the emergence of yet another gas route from Russia to Europe. Not only Bulgaria and Greece, but also Serbia and Hungary are interested in building the pipeline on the European soil. 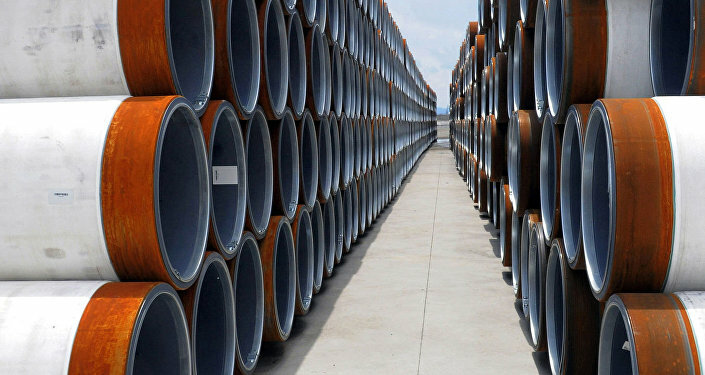 Serbia's Energy Minister Aleksandar Antic said earlier that his country would like to join the Turkish Stream gas pipeline project to diversify its supply of natural gas. However, Serbian experts fear that the implementation of the project could face serious obstacles, in the first place primarily posed by Washington. Analysts argue that the US will try to prevent Russia from building the Turkish Stream and Nord Stream-2 and bypassing Ukraine as a transit country. "The United States also wants to supply its shale gas to the European market. Further supplies of Russian gas to Europe are unacceptable [for the US] due to competition. Moreover, if the Russian gas flows through Ukraine, the US could better control the Russian gas pipelines," DWN wrote. The Turkish Stream is a pipeline with an annual capacity of 63 billion cubic meters positioned to pump Russian natural gas to Turkey and on to Europe under the Black Sea. Russia and Turkey signed an intergovernmental agreement in October 2016 stipulating the construction of two underwater legs of the pipeline. The annual capacity of each leg is expected to reach 15.75 billion cubic meters of natural gas. The Nord Stream 2 gas pipeline is designed to deliver an estimated 55 billion cubic meters of Russian natural gas a year to Germany across the Baltic Sea, bypassing Ukraine. The launch of the pipeline is planned for 2018. Any Room for Serbia in Turkish Stream Gas Pipeline Project?